A real life honeymoon adventure in the heart of Africa. We had heard from a friend about the wild mountain gorillas in Uganda and just instantly wanted to go see them. We love trekking and this sounded like a real adventure. 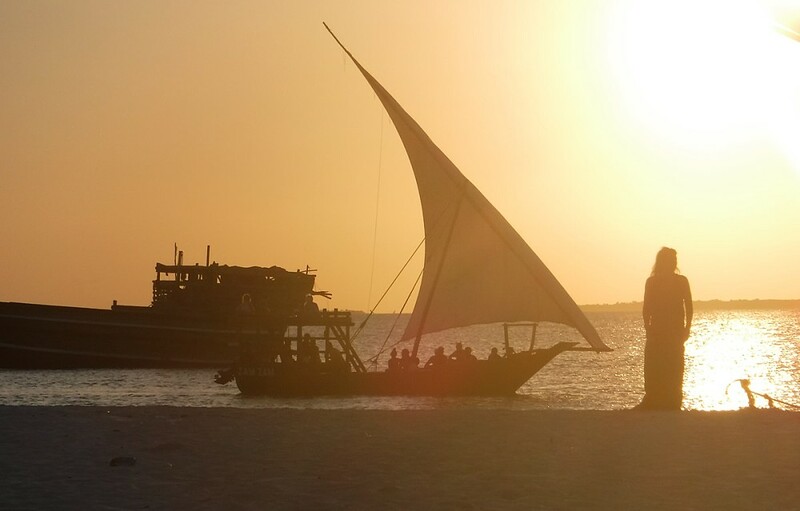 We finished our trip in Zanzibar, for some good sun, sea and sand. What did you do and see while you were there? After we flew into Uganda, we drove to the Rwenzori mountains and Queen Elizabeth Park. 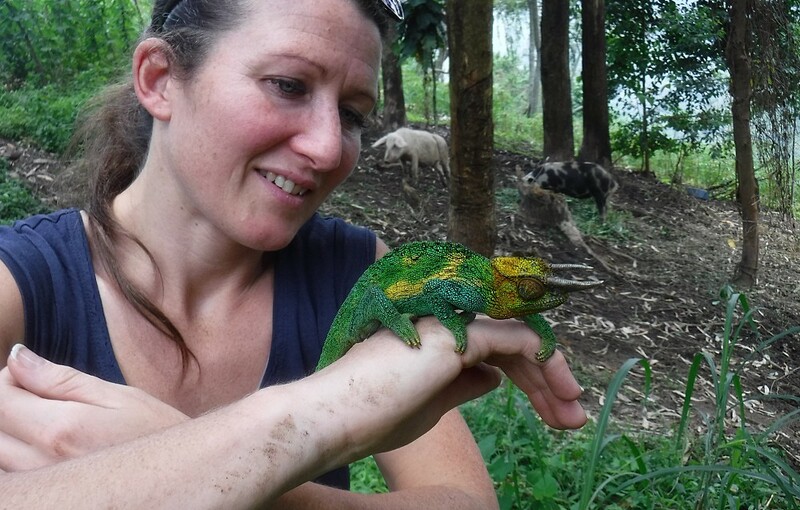 We trekked up the mountain and saw a rare three horned chameleon which apparently means good luck! Then we headed on safari to see as much as we could of the “big 5” (lions, leopards, elephants, rhino and buffalo). It was incredible to see the animals out in their natural habitat — and we were amazed by the huge birds that we saw as well. In a bit of a last minute decision, we then went tracking for chimpanzees, where we even got to see a baby chimp in its mother’s arms. On this trek we also passed a hippo pool with about 30 hippos bathing. The first week was so action-packed that we needed some relaxing beach time. We spent our second week lazing on the beach and by the pool, having a spa day, diving, snorkelling and water sports and generally eating well and drinking cocktails. We even went to the local full moon party and hung out with the main act! Our very final destination was to Frankfurt to see the Icelandic band Sigur Rós — which was incredible! What was your honeymoon highlight? The highlight of the trip was the Gorilla tracking. We hiked 2.5 hours through the jungle in search of wild mountain gorillas. The guides were amazing and knew exactly what to look for. It was mildly intimidating watching them hack down the thick jungle with huge machetes but at least we felt safe! 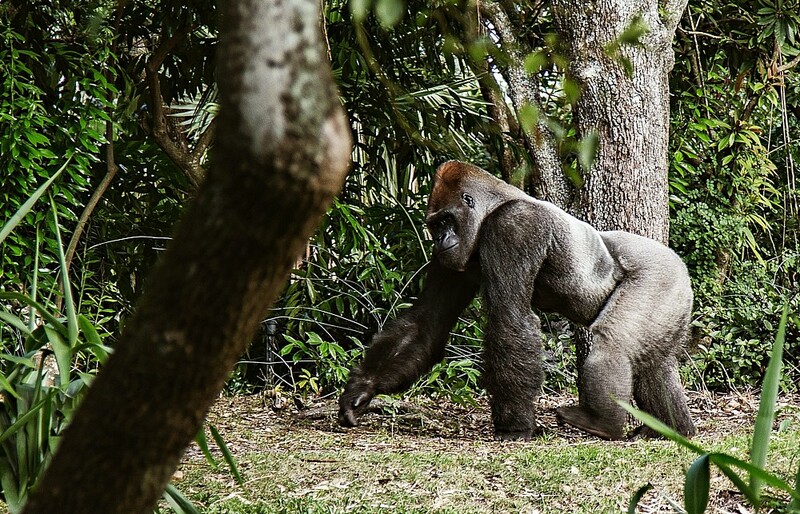 We first came across a silverback with his family, which was a real treat. He was sat leaning up against a tree in a small clearing, and we could see him clearly. The guides would communicate using low grunts to let him know we were not a danger. It was so exhilarating and awesome. We were able to get a few metres away from him. Occasionally he would beat his chest to let us know he was boss. Wow! We then saw one of his babies playing in a tree, only to see the branch snap and the baby gorilla fall to the ground. He was fine — and we were in our element! Why did you use Buy Our Honeymoon? We had heard of the idea from a friend. We did some Googling and realised there were so many sites that do a similar thing — but looking at some of the sample sites by other couples, Buy Our Honeymoon really looked like the most professional yet personal. Our guests loved it and one of our guests told us they were really pleased that they had bought the flights on the website because otherwise we wouldn’t be able to go on our honeymoon! They felt really proud of their gifts and we were able to keep a really good track of who bought what and do really personalised thank yous. We even took a white board and wrote a thank you message to each guest and took a picture of us enjoying the gift they bought. 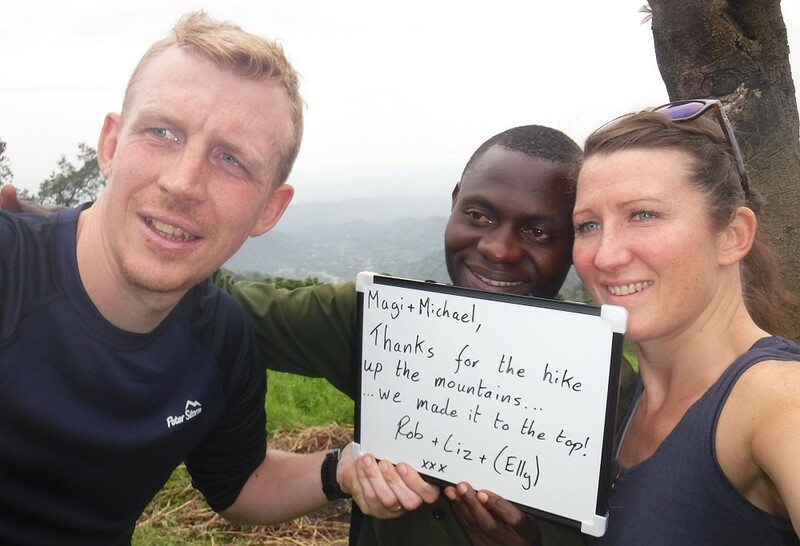 Huge thanks to Liz and Rob for taking the time to send us their honeymoon details and photos! If you’d like to feature your honeymoon on our blog, we’d love to hear from you! Try all the features of our honeymoon fund for one week with no obligation and no fee. Try us now, risk free! What if you haven’t yet made your travel plans? Six features that make Buy Our Honeymoon unique!